In a cold winter’s night in June last year, around 500 people shuffled in to a Southside carpark to check out a quickly thrown together event featuring clothes from the Vinnies op-shop. Truth be told, there was a pretty strong idea behind Help from the Underground – to assist the nearly 2,000 Canberran’s that sleep rough each night in our city. 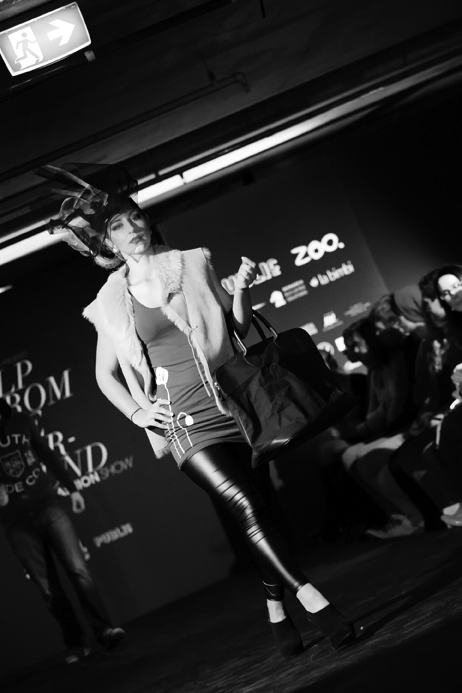 The event was the brainchild of Clinton Hutchinson who – along with wife Andrea – were the driving force behind FashFest earlier this month, and presented a great opportunity for local fashion fans, designers and artists to work together for a fantastic cause. Following FashFest, and being one not to let the dust settle, Clinton is using the momentum to once again hold Help from the Underground in the car park under Zoo Advertising in Kingston. If you one of the unexpected hordes that made their way in to last year’s event, you’ll know roughly what to expect, however this year there will be a few surprises. Last year’s effort saw Clinton raise almost $18,000 as part of the St Vincent de Paul CEO Sleep-out fundraising activities. This year, the target has been set much higher, with the group aiming for $36,000 in donations to help those in our community. 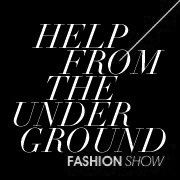 If you’re interested in attending this year’s Help from the Underground event please register at the website (so they know how many to expect!) and bring a fistful of dollars to donate to the cause (credit cards are also accepted!). There will also be a raffle to win a $2,000 airline voucher. The good news is Public Bar will be there once again, operating a soup van where mulled wine will also be available. Trust us – it’s almost irresistible (and completely sensible) when watching models operating in an unheated car park! Those who were at FashFest saw the ability of Clinton, Andrea & Co. to take last year’s Help and elevate it to a four day extravaganza. We wouldn’t be at all surprised if this year’s Help from the Underground sees a similar lift in scale and sophistication, although with a few surprises yet to be revealed, we’ll have to get back to you later.